Pete Swanson's love for the New Zealand underground is no secret (rumour has it that he engineered the entire Yellow Swans New Zealand tour of 2005 just so he could procure a copy of The Pin Group 'Goes To Town' 12"), so we were pleasantly unsurprised when Pete turned in two re-imaginings of classic NZ underground tracks as his contribution to the Alone Together series. 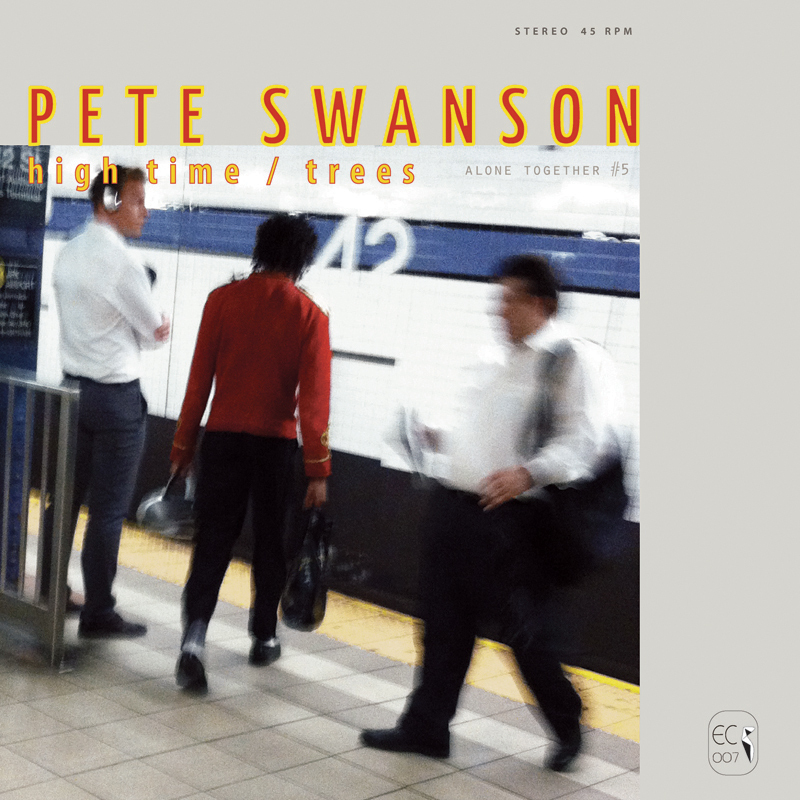 What surprised us greatly though was the form that they took: sparkling acoustic guitar, audible vocals, audible room tone – this was a Pete Swanson we'd never heard before. Although his signature degradation systems are still in place (both sides end with a blown-out acoustic guitar emulating dirty-needled distortion), acoustic strings, four walls and a voice dominate, dislocated just enough to give you the sense that the world ends at your bedroom walls. This is a sound that shouldn't be unfamiliar to anyone previously baptised by 4-track channelled lathe transmissions from the bottom of the world. The dusty gems re-interpreted here are 'High Time' by seminal Christchurch kvltists Dadamah (originally released as a 7" on the genius Majora label circa '91) and 'Trees' from Gate's recent downer-techno masterpiece 'A Republic Of Sadness', both are redolent of the darkest, coldest Dunedin winter as imagined from half a world away.